Aaron has made Tucson his home since 1994. He is happily married to his wife, Lisa, and they have two beautiful children. His time outside of the office is all about family. Spending time with friends or a quiet dinner with his wife are luxuries that he enjoys. Aaron's motto is, "Life must be lived as we go along. Live for today but plan for tomorrow." 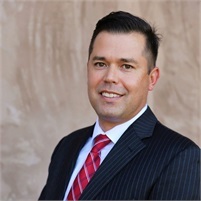 Through his affiliation with Lincoln Investment, Aaron strives to provide his clients some of the best financial products and services that the independent market has to offer. His clients' best interests are of paramount importance to Aaron when discussing investing with them. Aaron has a thorough understanding of how much work it takes to earn the money to invest and strives to treat each client's investments with extreme care. He aims to provide exceptional service on a day to day basis so that his clients have the comfort of knowing that their investments are being handled competently. In addition, Aaron aspires to proceed through life with a conscious and moral code of conduct that he hopes may bring happiness, good will and love to all of those individuals that he comes into contact with. Aaron aims to maintain the highest respect from his friends, colleagues and most importantly clients. He strives to provide the highest quality of care to his clients so that they will be proud to refer friends, colleagues and family members to him.